Most of us are familiar with the idea of conducting a needs analysis with our adult students, especially if we are teaching a business or academic English class. However, young learners (and their teachers!) can benefit greatly from the process also. For those who have taught in different countries or schools, you will know that in some institutions, especially those catering to young learners, needs analysis is not even considered, let alone encouraged in many classrooms. It is, however, possible and desirable to implement needs analysis successfully in these environments. I have used it successfully with a number of young learner classes despite students' initial confusion as to what I wanted and why I was asking them about what they wanted in the classroom. Much of the confusion seems to stem from the common feelings of 'aren’t you the teacher? Don't you decide how and what we learn?’ Once they realize I honestly want their input and want to know about them, and with a little careful planning and prompting, what they want and what they enjoy becomes clear. Because each class is different, it is best to use a combination of class discussion and individually completed needs analysis forms. 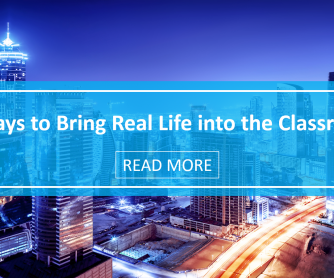 Ideally, the forms are designed especially for each class. 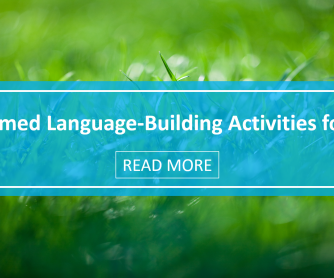 More advanced classes can handle more language and open space to express their ideas, while very young learners, or learners with particularly low English levels may benefit from more pictorial forms and less 'scary' open space. Even while designing a needs analysis, you should consider the needs of your students. 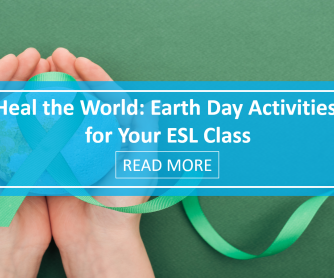 For example, younger/less advanced students may feel most comfortable voicing their opinions on the topics through which to explore language and learn the basics, whereas older/more advanced can also discuss language areas and uses, learning styles, and so on. It is up to you to feel out your class and decide how much choice they will understand and feel comfortable with. Will they, for example, respond best to verbal discussions, a written form, a combination of the two, or something else entirely? Why do your students want to learn English? What skills do your students think are important? Why? What do your students find difficult when learning English? What do they want to learn or focus on? What topics or language areas are they interested in? Even as young learners, who perhaps have to attend mandatory English language classes, it can be very helpful to identify any personal interests and motivations (or lack thereof) which can aid you, the teacher, in delivering relevant and motivating lessons. Indeed, answers to the above questions can help both you and your students focus on English language learning in an interesting and positive way. Now that you know what you want to find out, how do you go about writing the actual questions to pose to your students? It is a good idea to brainstorm all the questions you want to ask your class, categorize the questions, possibly under the above categories, and then narrow them down to a manageable amount (this will vary by class). 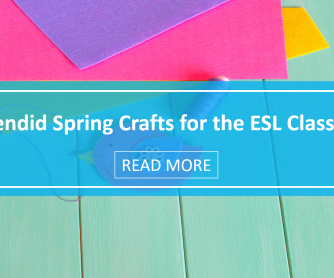 Make sure your questions are tailored to the language level of the target class. Now that you have your questions, you have to decide how to run the needs analysis. The options are many and varied: written surveys, class discussions, one-on-one sessions, whole class brainstorming, and so on. It is up to you to decide what will suit your class best. However, the first thing to do is to explain what you are doing, and why, to your students. This is a very important step in the needs analysis process and is often overlooked because teachers forget that often students have no real idea of what or why they are learning. You should spend some time discussing plans and details with your class, while making sure to promote and value students' opinions. Indeed, research shows that learning strategies are less effective when students are led into them 'blind' compared to when they know what is happening and the expected benefits and applicability of the strategy. After students understand what they are going to do, why, and how their answers will be used, proceed with your chosen needs analysis method. Why are we going to learn it? How are we going to learn it? or even just to influence the in-class examples and images you use. Say that, for example, through needs analysis you have discovered you middle-school class loves horror films but hates (and needs to work on) prepositions of place. When it comes time to tackle the dreaded prepositions lesson you can use horror themes to teach the target language. The class may respond well to 'the zombie is IN the closet' and 'the killer in ON the roof', not to mention the wealth of fun activities that could come from this. Or, say your class has identified that they need to work on their listening skills, and you've also found that they love to learn about current events. The answer may be to combine the two, having the class practice their listening with current events related materials. The ways you can use needs analysis results are as varied as the students you teach. Students are not always able to immediately participate in the needs analysis process. Age, language level, culture, and class environment all play a part in determining how a student may understand and participate. 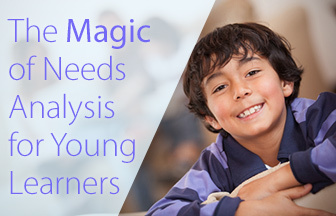 Young learners especially may struggle with a needs analysis due to either not being able to connect the class work to their goals and interests, or not actually being sure themselves what they want or enjoy. Therefore, it is the teacher's job to explain and discuss the process with students to help tease out their own motivations and connections. This, in turn, will also assist the teacher in making the needs analysis relevant. Similarly, if students are used to participating in a regimented school system where all their educational choices are made for them, then you may face not only restrictions from your school, but also from your students. To begin with, students may complain that needs analysis is the teacher's 'job', or they may give you answers that are quite clearly not how they actually feel, but what they think you want to hear. Overcoming these problems is a simple matter of patience, perseverance, and being open with your class. Once again, discussing the ideas with the class and fostering an environment where every suggestion and opinion is heard and treated with respect can help to overcome this and lead to a successful needs analysis. Alongside this, learning institutions, set curriculums, and mandatory textbooks may all present a problem for teachers wishing to use the information they have collected from a needs analysis. These can be worked with, or around, however. For example, you can use the information collected from a needs analysis to decide what order to do textbook chapters in, even though they all have to be completed, how long certain activities should be, what sort of additional learning activities should be provided, and whether the class should work in groups or individually. All are easy changes to make, even within a set curriculum. As you can see, needs analysis can be a fun process and allows young learners to feel involved in planning their own education. At the very least they may feel more motivated and interested in the lessons. Need analyses can be as simple or as complex as you choose, so there is no excuse not to conduct one and use the results to enrich your students and your lessons! 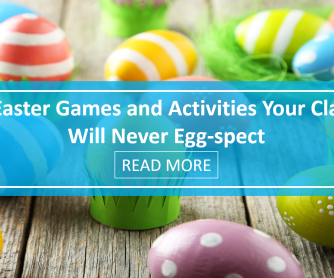 This is a guest article by Samantha Russell. 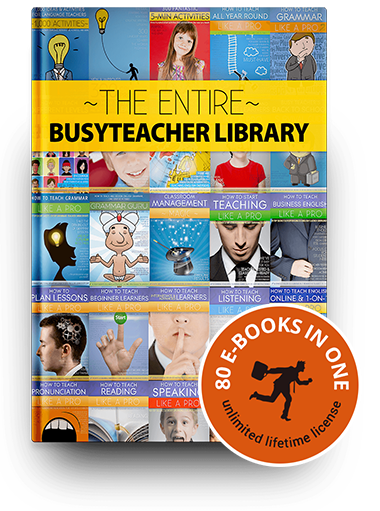 Want to become a BusyTeacher author? Send us your ideas!